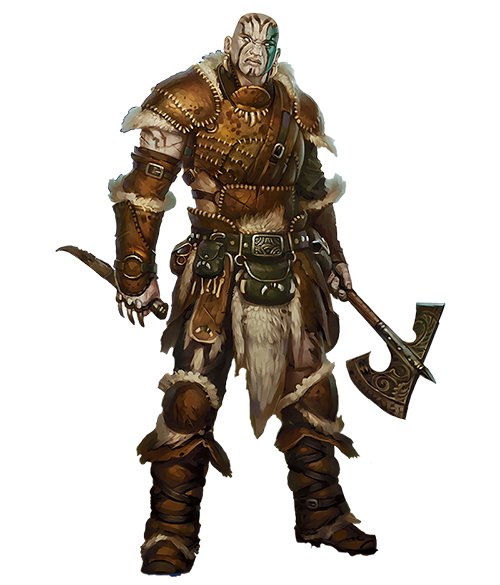 Size matters in D&D–to a point. Large creatures have a lot going for them–and because of that, you won’t see any player races that are big enough to broach that size category. Centaurs, Minotaurs, Goliaths, and now Loxodons. But hidden inside these PC options is a tool to help you, er, compensate. One of the most underrated abilities in Dungeons and Dragons is also the source of some of the most contentious arguments. Like most things on the internet, it all comes down to size, and just how much it matters. And in a case of art imitating life, size does matter, but it’s also how you use it. I’m talking, of course, about Large characters. Or more specifically, how there aren’t any of these. You can find Large Monsters, but as soon as they make the jump to PC race, their size shrinks down just a little bit so that they barely qualify as Medium. Even if you think they ought to be large. This is that cavalcade of beasts listed above–two of which have entries in the Monster Manual, whose monstrous counterparts are Large–Mediums, all of them. Which, from a game design perspective, makes sense; there are a number of systems on the game that start to function weird once you get out of Medium size. From the damage of weapons to the area of emanation spells, even things like space taken up by a creature matters. When you go from one square to four, suddenly that’s four times as much real estate on a grid you’re controlling. Up your damage and you’re skewing the damage, especially with the bounded accuracy system which is geared towards slightly more accurate attacks. In a nutshell this means that damage is built around players hitting more often, so if you make those attacks hit even harder every time, you really skew the system. Moving from Medium to Large doubles your damage dice. A large short sword hits as hard as a medium greatsword; a large greatsword hits as hard as a 1st-level spell, only you can do that every round. Sometimes multiple times if you’re a fighter. And maybe you’re cool with that (I know I am), but in a party where folks are trying to melee damage, a large character has such an advantage. And that’s before factoring in things like grappling, shoving, etc. 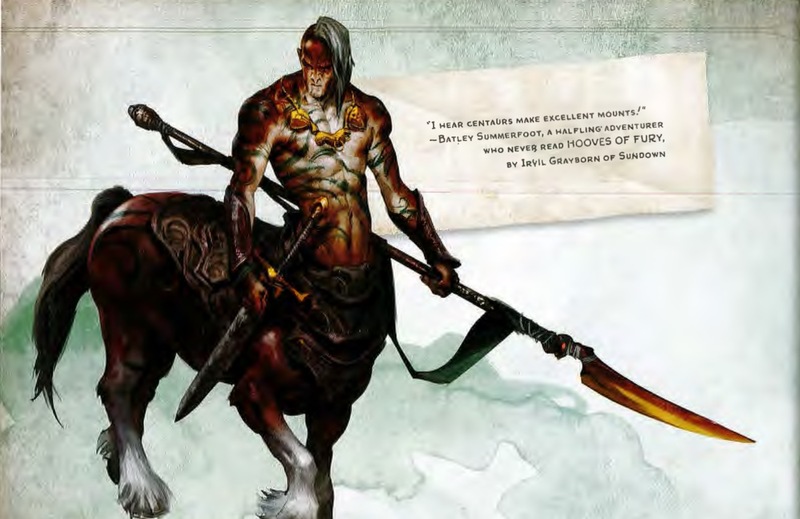 For the most part, the large creature rules are there to make monsters challenging, rather than players powerful, which is why you don’t see any large PCs come standard. It’s certainly easy to homebrew it so that you can get some large creatures and give them the extra damage you want. You’ll just have to tweak your encounters if you want them to be challenging–you have one character doing the work of two now. But even if you’re not size Large, there are a few ways that you can make one of the larger PC races feel a little more like they’re large and in charge. And a big part of it comes down to Powerful Build. This is one of the most underrated features in the game. Powerful build is there to let you accomplish shenanigans. It does so much but people are quick to discount it as not being large. Let’s start with an overview of how it all shakes out. So Powerful Build makes you count as Large for the purposes of lifting and carrying things. What does that mean exactly? 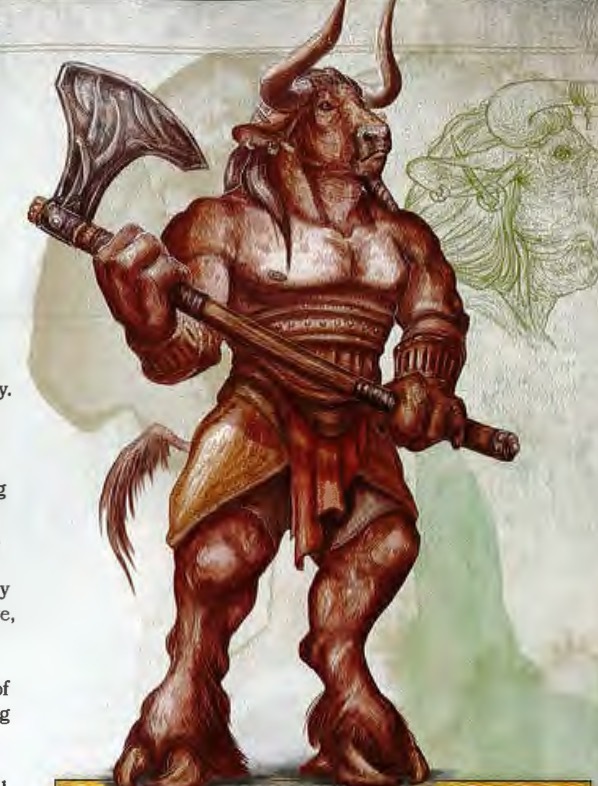 Well if we consult the ol’ PHB we find that creatures can carry an amount equal to 15 x Strength score in pounds before feeling it, but can push, drag, or lift up to 30 times their Strength. And counting as Large doubles that. So even at an average strength of 10, you’re able to carry 300 pounds before you’re even feeling it, which is already putting you at able to carry more than a character starting out with strength 18. And you can lift 600 pounds over your head–admittedly you can only move five feet per round while doing this, but that’s not an insignificant amount. Grab a 300 pound log (or 270 if you’re lightly geared) and use it to barricade the door of any room you’re in. Are you stronger than the average bear? 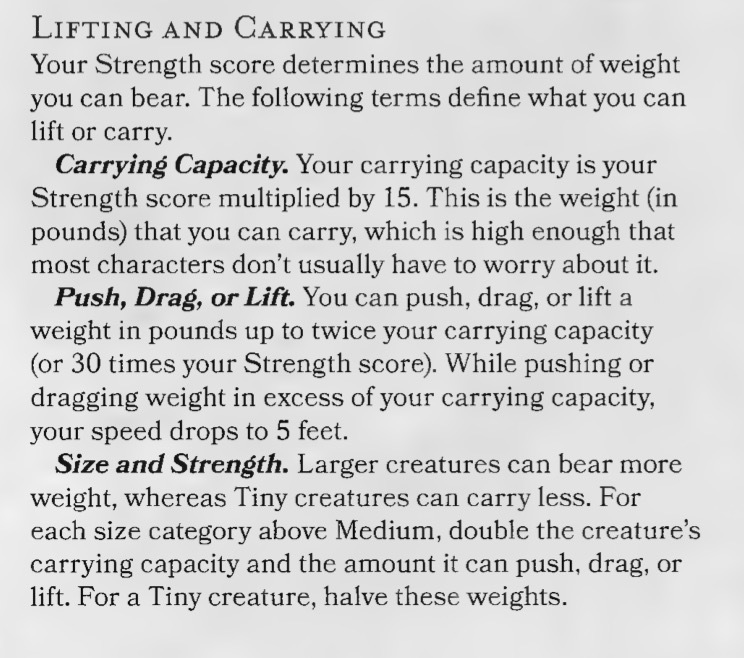 (16 or higher) You can start carrying around 460 pounds worth of stuff, or dragging 900+ around–well outside of the ability for even a Str 20 medium creature to even move. You can do all kinds of fun stuff here, simply by being able to lift more than is humanly possible. Put a dense, heavy rock on a sleeping foe, even if you don’t crush them to death, they aren’t going anywhere. Better yet, take Athletics as a skill and get rid of climbing obstacles. All that’ll matter is if you can make it to the top, because you can literally carry the party up. Make the question “how much does it weigh” your mantra. Ask your DM–never stop looing for something you can lift. Move a table. Need to intimidate someone? Pick them up by the chair they’re sitting on and tell them they’re in your seat. Chase the enemy raiders to a warehouse? Pick up everything and throw it at them. Improvise some heavy weapons–be sure and remind the DM of just how much weight you can throw around. It’s a great way to bring up the strength and bulk of your character. If you want to hit hard, there are classes for that, but anyone can do that. Only something with powerful Build can help something reach escape velocity. I wasn’t kidding when I said this was about shenanigans. Because once you count as a size category larger than you are, it’s easy to keep doubling up. Things like the 6th level Totem Warrior feature let you double your carrying capacity another time beyond that initial counts-as-large. Again that means our strength 10 fellow can lift 600 and drag 1200, but at that point he’s maybe not the best Barbarian out there, because really you’d want a high strength, but that’s a story for another time. Basically if you want to capitalize on certain races’ affinity for largesse, as it were, you can–as long as you go after it proactively. It’s not the same as actually being large, but for most intents and purposes it gets you there. After all, what do you really want out of being large? You want that feeling of strength, which even if you can’t double all your normal melee damage, you can still move mountains. What do you think about these races? Do they need to be large? Does Powerful Build get the job done? Let us know–and Happy Adventuring!